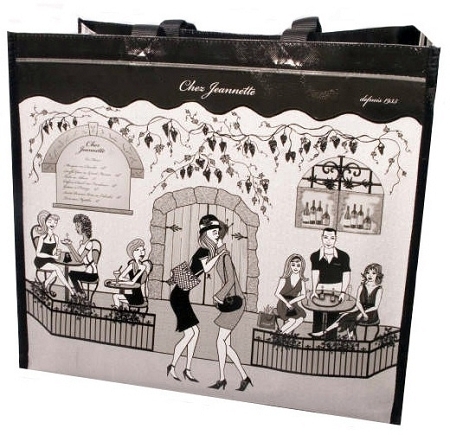 Large Size measures approximately 16-1/4" wide/large x 15-1/8" tall/height of bag x 7-1/2" deep/opening of side soufflé. 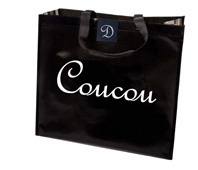 Heavy duty polypropylene fabric (150 grs) with an added coating to protect artwork. 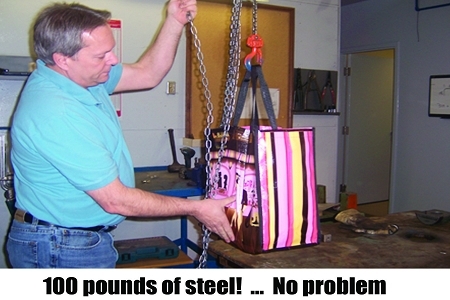 Tested by manufacturer to hold up to 100 pounds of steel. Wash stains with soap and water and hang to dry. 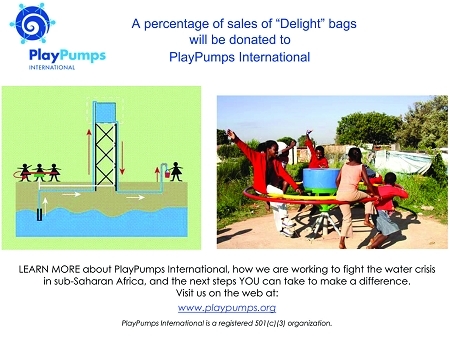 "Delight" donates a portion of their sales to PlayPump® Water Systems which help build clean water systems in villages throughout Sub-Saharan Africa.